Home Theater PC buffs rejoice, wireless HDMI technologies have finally come of age. Though there are two camps firmly entrenched in the market (Intel's WiDi and WHDI), the bottom line is lag-free full HD 1080p HDMI wireless video/audio transmission is now a reality. No longer does that HTPC need to be shoehorned into the confines of your entertainment center. And that desktop replacement notebook you have perched on the coffee table just got a major display upgrade, seamlessly connected to your HDTV; look Ma, no wires. Stay with us as we take you through a tour of two WHDI standard-based wireless HDMI transmitter kits--the Asus WiCast and the briteView HDelight. Big screen gaming nirvana and multitude of media center goodness takes center stage at HotHardware. 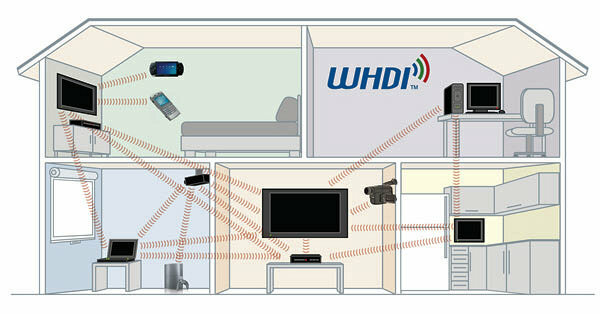 Both of these WHDI-based kits utilize the same family of Amimon WHDI transmitter and receiver chipsets. The technology is capable of full 1080p HD video and Dolby Digital surround sound audio transmissions over distances of up to 30 feet with less than a millisecond of latency. This new technology is, in a word, "amazing" actually. We're giving both of these kits a solid HotHardware rating with our Editor's Choice award. Yes, they performed that well. Performance with both products was identical for all intents and purposes with only a small size advantage going to the Asus WiCast. Currently we see prices ranging from $189.99 to $199.99 for the Asus WiCast and the HDelight from brite-View is listing for $169.99. If you're in the market, you can decide which system makes most sense to you. The WiCast is slightly smaller and minimalistic, something that could be important in your usage environment. 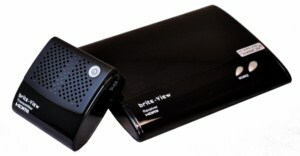 But then again, currently you can save up to $20 going with the brite-View product. Either way, you really can't go wrong and we're more than comfortable giving these two products our full EC rating. True, the fact of the matter is, the technology is best implemented fully integrated on the transmitting device side. However, a kit like this provides users with the flexibility of connecting virtually any standard HDMI output from any device and also make use of it on multiple devices you may have kicking around. Wireless HDMI technology has finally come of age, thanks to Amimon and the folks at Asus and brite-View. And we'd have to say it's . Happy Van Damme Friday: Happy Halloween!! !